Capitalist Exploits exists as a meeting place for investors, entrepreneurs and those managing their capital in a world increasingly perverse and riddled with dangerous thoughts. What Happens When Things Can’t Get Any Worse? Market dislocations occur when financial markets, operating under stressful conditions, experience large widespread asset mispricing. Welcome to this week’s edition of “World Out Of Whack” where every Wednesday we take time out of our day to laugh, poke fun at and present to you absurdity in global financial markets in all its glorious insanity. While we enjoy a good laugh, the truth is that the first step to protecting ourselves from losses is to protect ourselves from ignorance. Think of the “World Out Of Whack” as your double thick armour plated side impact protection system in a financial world littered with drunk drivers. Selfishly we also know that the biggest (and often the fastest) returns come from asymmetric market moves. But, in order to identify these moves we must first identify where they live. Occasionally we find opportunities where we can buy (or sell) assets for mere cents on the dollar – because, after all, we are capitalists. Even the dullest amongst us have heard about compound interest. The story goes like this: you can become wealthy – not rich, but wealthy – by foregoing those lattes, $100 haircuts, and saving a decent portion of your income. You earn interest on those savings and let it compound. Here is a glass of water. You’re holding it. The answer is: the actual weight probably doesn’t matter. It’s just a glass of water. What matters is how long you hold it. Hold it for a minute, it’s no problem. An hour and your arm will ache. A day and your arm will feel paralysed. The weight doesn’t change but the longer you hold it the heavier it becomes and the greater the probability you finally just have to put it down or risk dropping it altogether. Betting against the ability of governments and their central banks to keep holding the proverbial glass of water has been a losing proposition for a looooong time. Now, simple math tells us that although this debt growth is pretty damned fantastic it needn’t be a problem if income growth has kept up with it. Income, after all, services debt. Since income growth hasn’t kept up clearly that’s not the case. So what is it? The answer lies in this chart which shows the cost of capital across the major economies of the US, the EU, the UK, and Japan. When the cost of debt servicing is low or zero, then the size of debt really doesn’t matter much. It’s as if the glass of water has no weight at all. Trump Wall – How Exactly? I chatted with Mahdi Kazemzadeh who was recently introduced to me by a mutual friend. Mahdi is the founder and managing director of Afraz Advisers, a firm providing analytical tools and data services on the Iranian oil and gas industry. Their clients are international companies navigating the Iranian oil and gas industry as well as institutional and private investment funds. I wanted to talk with Mahdi for a number of reasons, chief among them getting a better understanding of things from the perspective of a Western educated entrepreneur working on the ground in Iran. Unless it turns into ground zero for the next mushroom cloud, you’re staring at a country with a massive middle class, great demographics, very high level of education and a very high savings rate. It’s literally the flip side of the West! I recorded the conversation and after editing out, ahem, private for-your-eyes-only sections I’ve got the finished "product" for you to listen in on. A boots-on-the-ground perspective on the effect of the Trump election on Iran. So today I’m going to leap all over the place and show you some some interesting things that’ve come across my desk in the last week. Why no full fledged blog? Well, if you didn’t notice, this week’s WOW on the "Trumpification" of US foreign policy (and its winners and losers), was, I dare say, a bit of a beast. And so for all my avid readers who managed to get through it all, it was worth it for me. Also, I’ve been spending some time on my latest Insider alert and time is running short. Wife: So, let me get this straight: you’ve got thousands upon thousands of people on your list but only 42% of them read your work? Me: Well, I guess only 42% open their emails, yes. I couldn’t understand it for a while. Wife: You’d better step up your game, that’s awful. Me: Well, I’m told it’s actually quite good as open rates for this blogging stuff are typically around 20%, so in theory I’m killing it, honey. Wife: Well, that makes no sense. Why would someone sign up and then not read your emails? It must be that you’re just not that good. I think you should just focus on your fund and leave all this stuff alone. Me: Well, this helps me to concentrate on thinking stuff through so that the fund will do well. And look, it’s working. Wife: Seems all backward to me. My sister-in-law just bought a new cupboard apartment in Sydney. AU$1.4 million, the going price for an inmate of the city’s digs, gets you enough room for a cat, its litter tray, and a wine rack, which you’ll be emptying regularly in order to keep your sanity, living in confinement. In a previous edition of the WOW I wrote about a bubble in dumb money, and in it we looked at the massive drawdowns in capital from hedge funds in favour of "passive investing" via ETFs. Investors have a point. Why pay 2/20 when you can pay as little as 0. This article is a follow on from two previous articles discussing the eurodollar system. Part one can be found here, and the following one here. 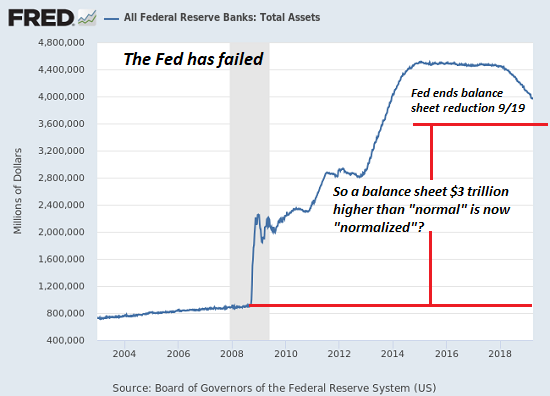 Today we cover what I believe to be the critical component as to why the eurodollar system isn’t functioning correctly, and why what central banks have been doing with regards monetary policy is actually destructive to the functioning of a healthy global economy. Let’s begin by asking a question: What forms the basis of the global financial asset system? I grew up in Southern Africa and have traveled the continent extensively. I can tell you this: Africa in general has issues, and there is a fundamental reason kids have flies in their face and eat just one meal a day of questionable nutritional content. This problem is the single most important reason why this is the case and it’s the abject failure to create collateral. Not even Bob Geldoff and the world’s funkiest rock stars managed to fix this. Countless others have tried, including U2’s Bono and Bill Gates. Billions raised and the kids still have flies on their face. On the other hand, the soldiers all have new guns and Swiss bank accounts continue to be topped up. It was over a week ago now that I had a conversation with CEO and CIO of Morgan Creek Capital, Mark Yusko. It’s one of the true pleasures of my work: speaking with the sharpest minds in the investment world – from the fine, dignified, and exceptionally bright, right through to the unrefined, rough as guts, look-at-me-wrong-and-I’ll-bust-your-nut folks. What drives my desire and conversations is always the intellect and knowledge behind those who have proven time and again to have an edge. Mark is one gent who definitely has an edge. What’s more, is he’s extremely likeable, and for a guy who’s as successful as he is, very approachable. One emerging market currency that has been smacked and treated like a failed state. The most moronic thing Mark has seen in his entire career (which is saying something). The one bet that Mark is prepared to make over the next decade with anyone. And I’ll gladly join him in this. I think perhaps this is a good time to bring you all up to date with what we’ve been up to the last few months. "Hey Chris, as a small retail investor it’s hard to impossible for me right now to buy options or warrants to participate from a yuan devaluation. What’s your take on other financial vehicles where a yuan devaluation would have a huge (optionality) impact, that a retail trader could position himself with? Not talking FX or Futures, more like companies or sectors or commodities that would profit, something where it might be easier to find options for." Some three months ago we launched a small fund dedicated towards asymmetric opportunities. I run this together with a long term great friend and ex-hedge fund manager. Our target is the sort of opportunities which are akin to subprime "Big Short" type trades. We have been very careful about our positioning, being extremely focussed on many of the trends I talk with you about here. While we enjoy a good laugh, the truth is that the first step to protecting ourselves from losses is to protect ourselves from ignorance. Think of the "World Out Of Whack" as your double thick armour plated side impact protection system in a financial world littered with drunk drivers. While we all sit here aboard the planetary asylum watching and waiting to see if the fetid swamp of corruption US political establishment reaches a crossroads or probably a road off a cliff, a hop and a jump away in the ancient land the PBOC has been forced to deal with their own ugly truth. When it comes to the stock and bond markets, the mandate’s pretty simple. Deny, then inflate another bubble. 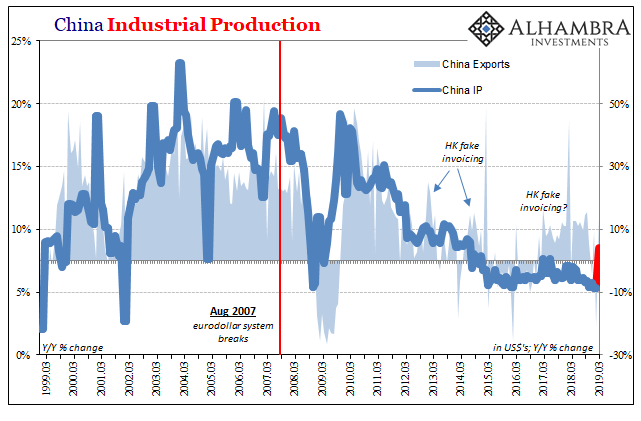 The central banks will continue to do this until the market takes their ability to do so away. It’s going to be quite something to witness. As a teenager brimming with testosterone my reptilian brain loved action movies. Top of my list were Steven Seagal movies. Clearly it wasn’t for his acting skills, which are only marginally better than Barney the dinosaur. What I loved about Seagal was that he was both deadly and terribly fast. His opponents had mere seconds before their arms, legs, or other bones were snapped like twigs. Or they suffered a severe beating leaving them either dead or in a bludgeoned unrecognisable mess. Fabulous stuff! With Seagal risk happened fast. The targets of his aggression never had time to get out once the onslaught began, and then it was all over in seconds. None of this drawn out biff-baff nonsense, taking forever to finally get to where you knew things were headed anyways. Back in January of 2015 the currency markets had a "Seagal moment". The Swiss National Bank (SNB) had pegged the Swiss Franc to the Euro at 1.20 and by the end of 2014 had already spent billions defending the peg. All the numbers told us the peg was untenable. We didn’t know how long the peg would hold but we did know that with every passing day what was clearly untenable simply became more untenable. The stress was building. Failing to participate is one of my regrets. How Do You Invest In The ‘New Normal’? The rise of passive investing and the inevitable consequences of what is almost certainly a bubble. How investors are increasingly buying equities and treating them as bond proxies. How it’s harder to say which sector is cheap and which isn’t – more than at any time in Chris’ 25 years of investing and why this is the case. How we’re in a market which rewards companies for buying back stock and increasing dividends (even to the detriment of the overall financial position of the company) and what Chris focuses on as a consequence. Why holding cash is exactly what companies should be doing in this market environment (despite being penalised for it). How index weighting is perversely penalising stronger companies relative to their peers. Two short ideas he took away from Jim Grant’s recently concluded conference. Thoughts on investing in frontier markets. get access to free subscriber-only content here. Is A Short Squeeze Coming From This? Welcome to this week’s edition of “World Out Of Whack” where every Wednesday we take time out of our day to laugh, poke fun at and present to you absurdity in global financial markets in all it’s glorious insanity. Before we get into what exactly is Out Of Whack with volatility linked ETPs let’s cover what the heck a volatility ETP actually is. The collapse in collateral in the system. How derivatives pose systemic risk as high quality collateral is diminishing in the global economy and derivative exposure relative to this collateral has risen, creating counterparts risks. Why and how trust is the basis for the development of high quality collateral and how this and all the other metrics Daniel measures are pointing down. Daniel’s model for an investment portfolio that is both resilient AND efficient. How Daniel focuses on analyzing multi-year trends in asset classes. Let’s state the obvious, if only to clear the decks and get it out of the way: Japan’s continued failure with monetary policy has been surpassed only by the BOJ’s persistent belief that someday it will finally work. To remind you – the Bank of Japan’s policy has been to fight deflation, creating an inflation target of 2%.